Sweet & Sour dishes are commonly known Chinese dishes. They’re probably even in the top 5 most popular. Yet, what I’ve seen at “fake” Chinese take-outs rarely resembles what I know of as Sweet & Sour. They’re often neon orange ( I don’t even know where that color comes from), taste like pure fried batter without meat, sweeter than a lollipop, or all three atrocities. I’m not claiming that the real thing is healthy. It’s not. These spare ribs are deep-fried. There is still a lot of sugar, though I have to believe less than whatever “they” put. Plus, I know I’m still using meat. 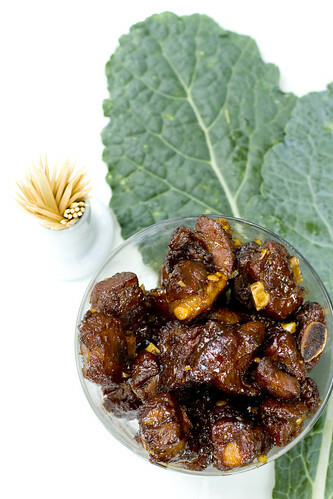 It is delicious, in addictive little chunks that work well as finger food at parties. Of course, Sweet & Sour Ribs goes over well with the kids too. 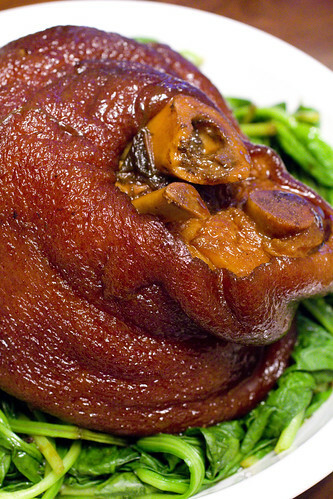 Have you been to a Chinese restaurant with a variety of meats dangling in the window? (If not, read this later and run to Chinatown now!) 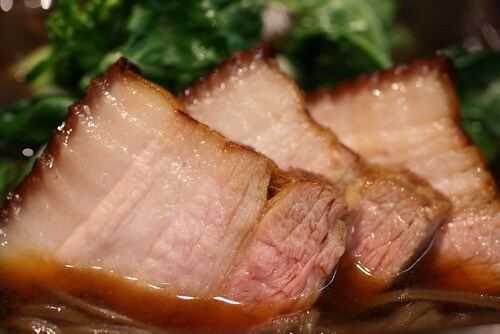 It’s usually roast pork, crackling pork, roast duck, ginger (white) chicken, and soy sauce chicken. Sometimes, there’s pork intestines or other innards. 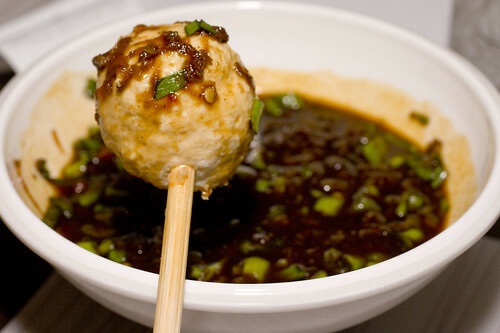 You can buy any by the pound or have the classic workmen’s lunch: San Bao Fan. The rough translation would be Three Specialties (Treasures) Rice, a choice of 3 of the meats over rice. There’s usually a vegetable included and sometimes a stewed egg. 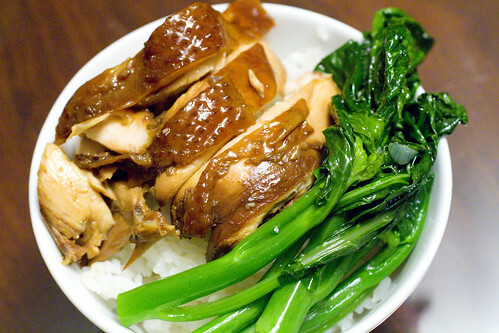 Red Braised or Red Cooked is the quintessential Chinese Home-style Cooking Method. 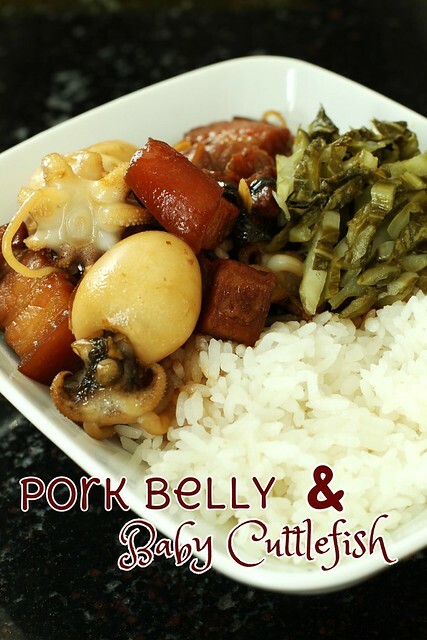 I grew up on Red Cooked Pork, Beef, Fish, Tofu, etc. Everyone loves it and it’s really quite simple to make.